So my husband knocked dinner out of the park two nights ago. I was crossfitting as usual in the evening, and when I came home exhausted and gross, I walked into a house full of wonderful smells and music was playing. Is this heaven? Had I shuffled off this mortal coil post WOD? I didn’t do a THING related to dinner except eat it. (I did help clean up, I’m not a total diva). I promptly decreed that Rob have at least one night a week where he does it all, because he’s dang good at it! Original Recipe can be sourced here! Broil for 2-3 minutes near the end for extra crispness! 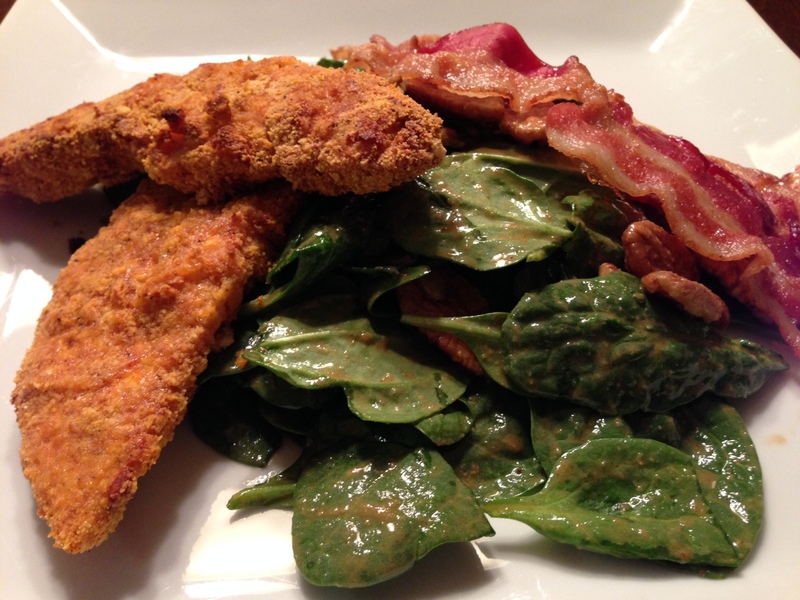 He decided to throw together a spinach salad to serve the chicken on. 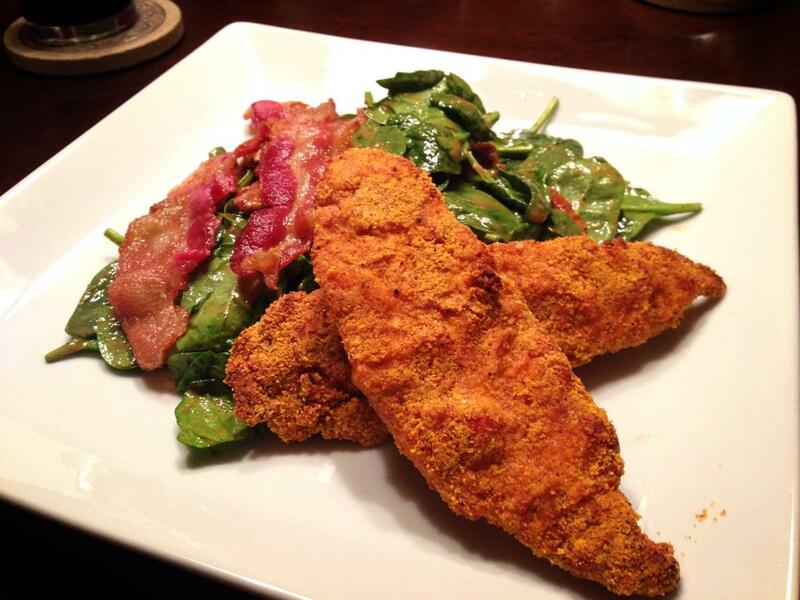 Tossed in some pecans and whipped up a home made Mustard Bacon Vinaigrette…I mean REALLY. Can this be my life always!? Even though we decided to ritz it up healthy, these would be the PERFECT drunk food/”cheat” meal that you could pair with some sweet potato fries or even something naughtier (Mac and Cheese?) Nope, won’t even go there.